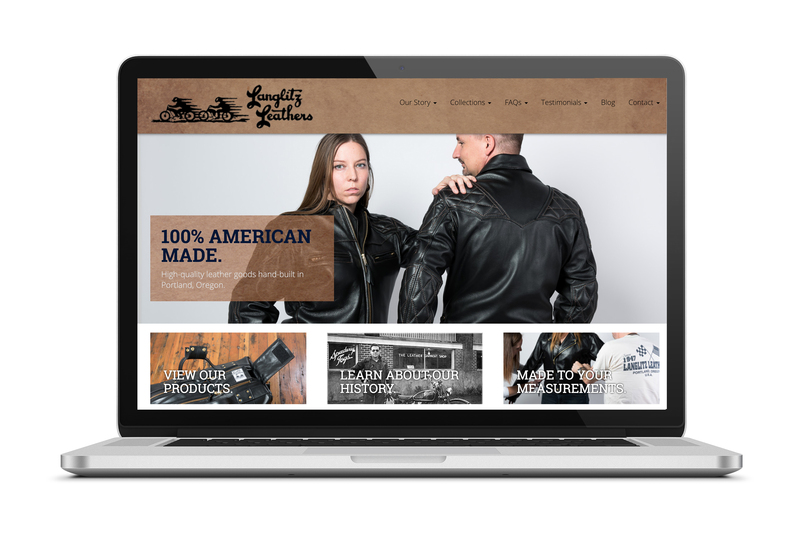 Langlitz Leathers is a family-owned business, but their brand and website, didn't reflect their long history or their deep commitment to their customers. 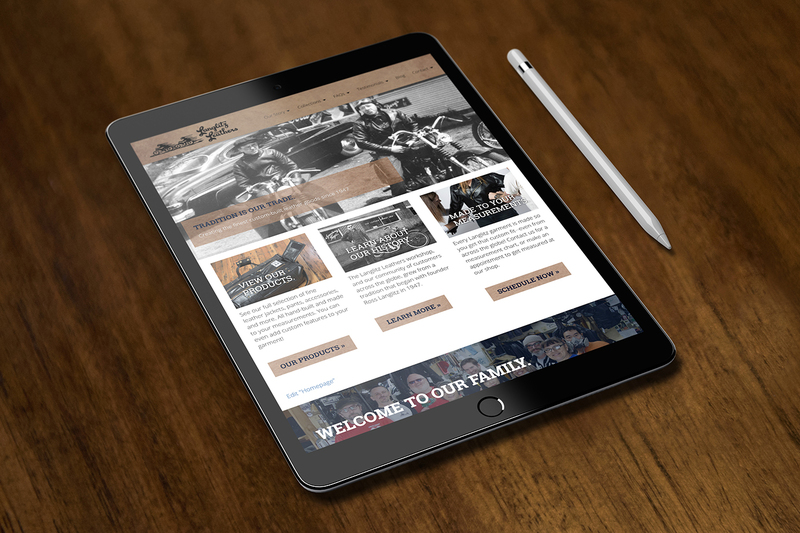 We built them a refreshed online presence that honors their family roots, while modernizing their visual style and showcasing the quality and care in their products. With years of tradition and experience in crafting fine motorcycle leathers that are loved around the world, the incredible quality of their work deserved to be shown at its absolute best. 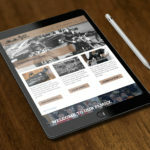 We developed custom content management structure for their back-end, so they can easily add new designs, and draw customers in with how they've mastered their craft. 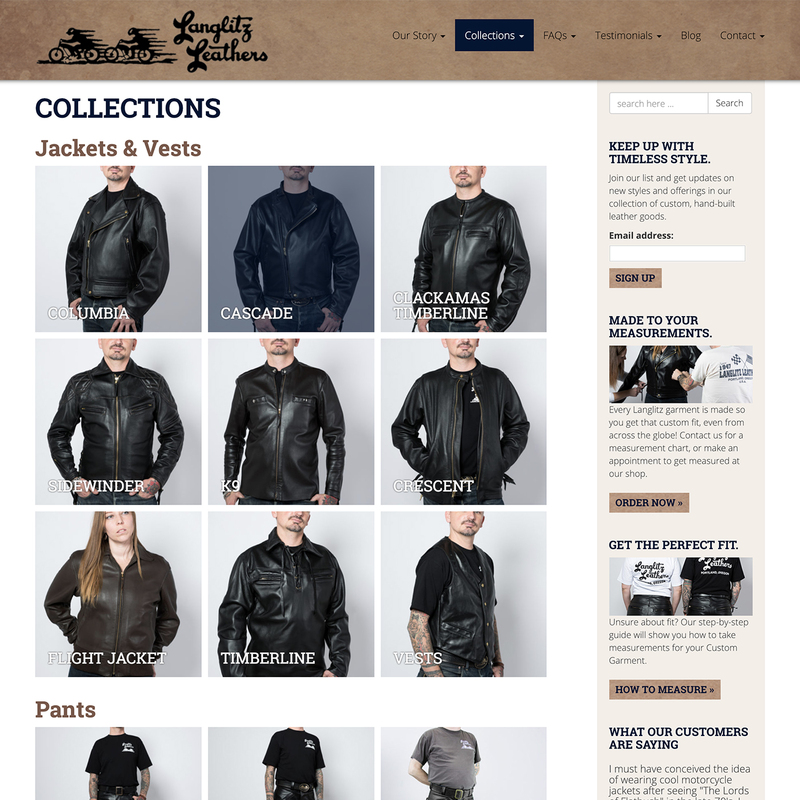 Langlitz Leathers takes joy in the process of building personalized, tailored-to-you garments. 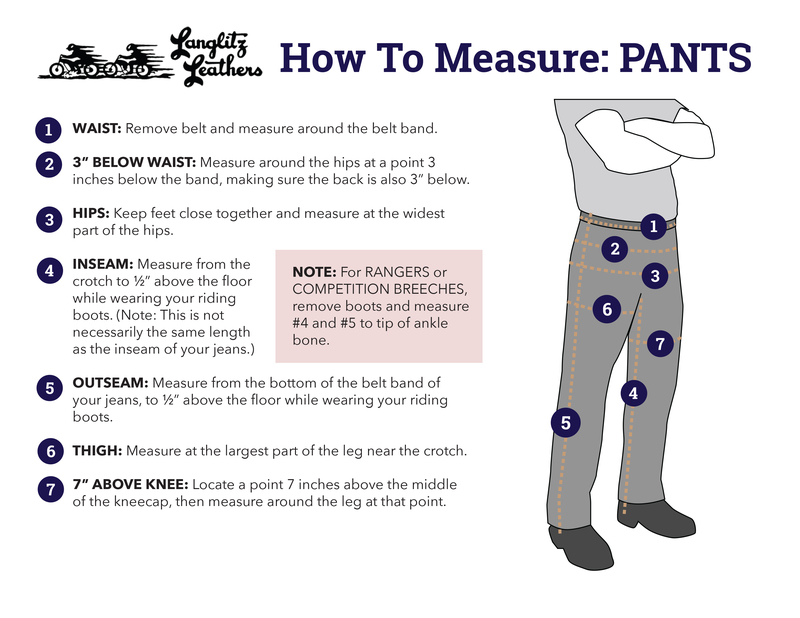 So, we not only updated their website, but also created print and PDF measurement guides that match their updated visual style. Now, their new look can also be seen in their interactions with each customer.